There are many tech-related business ideas out there in the market which permit tech-savvy business owners to utilize their experience in building successful businesses. The present rate at which technology keeps evolving, everyone should have the ability to adapt themselves to such changes and thereby help others in the process. Such tech-based businesses have all the makings of an extremely powerful business foundation. 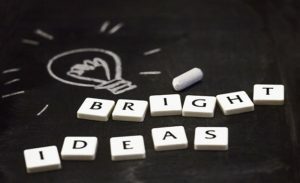 If you want to get started with exploring such business ideas in the field of technology, there are several tech business ideas which you should get to know and also their pros and cons. If you have had no idea of such tech-based businesses, here are few ideas you should consider. Are you a blogging expert and you love to explore and learn on anything that is related to blogging? If yes, how about starting off with a small business as a blog consultant as this could be a lucrative business? You could support the kinds of businesses and bloggers in getting their blogs running. You can explore the idea of this blog consulting business idea for you. If you have some kind of technical background and expert comprehension of computers and how they operate, a small business can be started as a maintenance service or a computer repair and this could definitely be a great business idea for you. You can tailor your services to one operating system and if possible, you could even cater to all major platforms. Do you think you are excessively savvy with software, computers and other devices? If answered yes, you can help others increase their comfort level with computers and technology. You could start off with a computer training business which should be a perfect idea for someone who is computer-savvy. For an eBay pro, an eBay consulting business can definitely be the best business idea for someone who wishes to help others with using eBay in an effective manner and generating significant amount of income. However, before taking the plunge, just be sure that this is going to be the right business for you. In spite of some work-from-home scams which are involved in data entry work, there are too many legitimate opportunities that you can get if you want to enter the data entry business. Are you an exceptional typist who has got an eye for detail? If yes, start exploring whatever it takes to begin a data entry business of your own. With the large amount of information that you get these days online, having the capability of locating and validating such information is a rather marketable skill. Are you someone who has got a special knack of quickly finding something relevant on the internet? If so, you can even start off with an internet research business as this could be the perfect business according to your skills. Social media is definitely the most powerful marketing tool, especially for small businesses. If you think you are a social media expert and you know the intricate details of the few social media giants, you can help others create their social presence. If this is what you have in mind, you can be an excellent fit for a social media consulting business. Make sure you know the pros and cons of this business before starting it. Therefore, if you want to start off with some tech-related businesses in 2017, you can choose from the list given above, matching them with your skills.